Salmon fishing in Scotland has always been the ultimate fishing challenge and much of the moaning & groaning I hear today about diminished catches in my opinion has also got much to do with a lack of angling ability & rod pressure than just a lack of fish! To make this scenario even more amusing the vast majority of the Scottish salmon fishing fraternity has been conditioned to respond to 'digital stats' on a daily score sheet. This defies the laws of gravity as surely at times of the year when salmon are transient and a fish is caught the opportunity to be on that particular beat has been already capitalised on by the angler who showed up and missed by the internet observer! 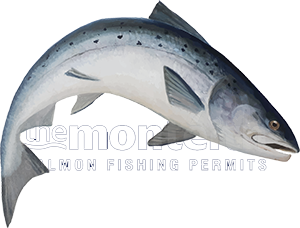 In the good old days you booked early and took your chances as at best Atlantic salmon fishing anywhere has always been a bit of a lottery. In the last few weeks of the Tay's 2018 salmon fishing season I know of 4 good salmon offers that were 'fluffed' by apparently experienced salmon anglers that should have been converted into landed salmon. Obviously when we fail at anything it's easier to blame something else and not take a good look in the mirror. In the 70's when I started my salmon fishing 'addiction' you worked hard for a take just exactly the same way you do today. Salmon in the 70's were not always easy or to be taken for granted on any salmon fishing day. From what I see there's a distinct lack of basic understanding on various tactical salmon fishing approaches starting with basic mental toughness from the salmon anglers and a general lack of understanding of how Scottish salmon need to be carefully & consistently approached and dealt with when they do co-operate. Personally I feel that the whole business has been far too easy-osy with anyone being allowed to buy access to a river and blunder on in without any basic salmon fishing skill or sometimes not even the correct salmon fishing equipment levels. The cost of this could never be truly calculated but I strongly suspect it represents a massive loss to the Scottish economy annually through blown hooking or landing opportunities and now more so than ever since that 'digital curse' crept into our game and salmon stocks are running low. It takes a certain mind set to grind out results in salmon fishing especially during the cold and wet early Spring months when the beautiful Scottish sleet is attacking you like a swarm of bees! This is the name of the game and where would the challenge be if it were too easy to catch the 'King of Fish' in a freezing cold Scottish salmon river when he's not there to feed. Learn from a professional who has sub surface fly mentality and who wears a confident smile that masks his true identity as a riverbank killer! Don't think salmon are going to ever make life too easy for you as they never will so get with a 'professional' who only envisages a salmon pool from below the waterline! The Tay during the early Spring months doesn't get anywhere near as much fly fishing attention as the warmer Spring months do. The fly is however the more deadly approach in the right hands as the slower presentation of the fly often works far better in the cold water of early Spring. To my mind there's more satisfaction and skill involved in hooking and landing a super fit Scottish Spring salmon on the fly during the early months of the year even though I've also enjoyed catching many salmon while 'harling' or spinning over the decades. This River Tay Spring salmon was a good example of 'grinding out' a fish in cold wet Spring salmon fishing conditions.